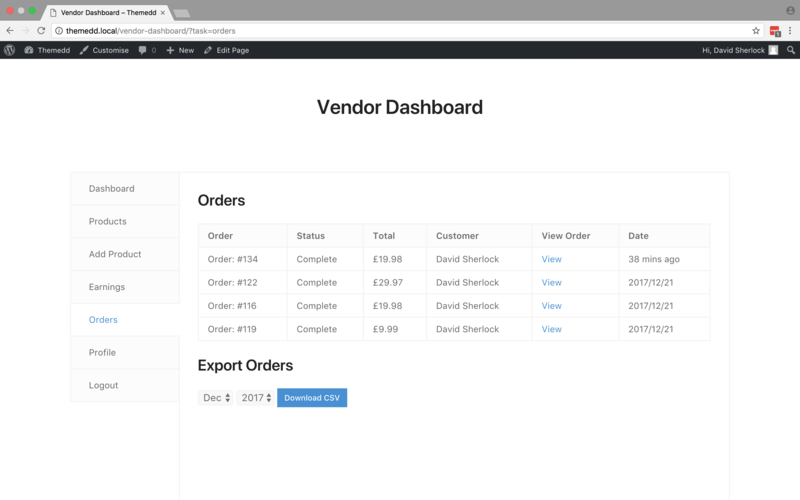 Order Details Allow your vendors to export comprehensive order information. 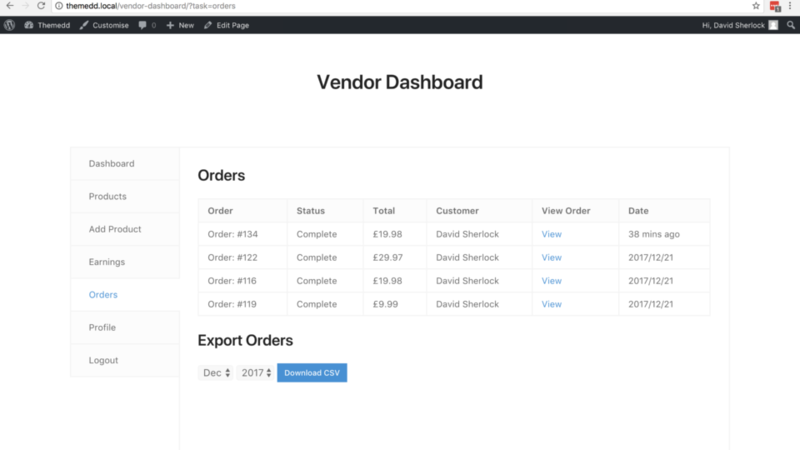 Order Details is a free, but powerful Frontend Submissions extension that adds order export capabilities to the vendor dashboard, enabling your sellers to download order data specific to them by month and year, this provides comparable functionality to marketplaces such as Etsy and Themeforest. 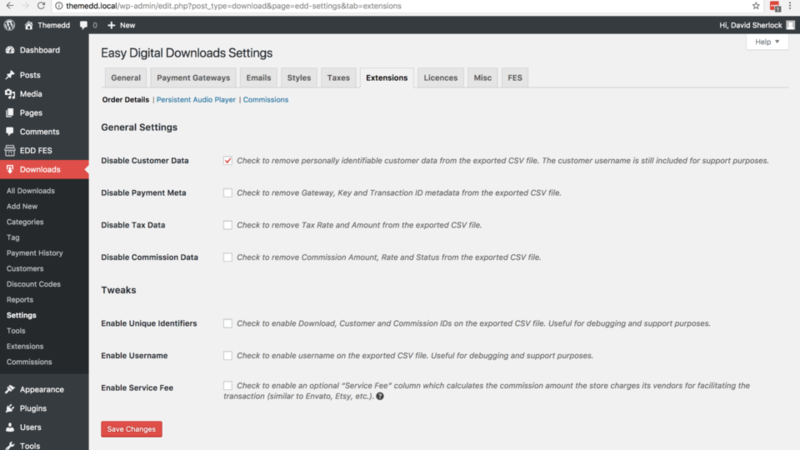 The exported CSV files contain comprehensive customer, payment, tax and commission data on a per-item basis. 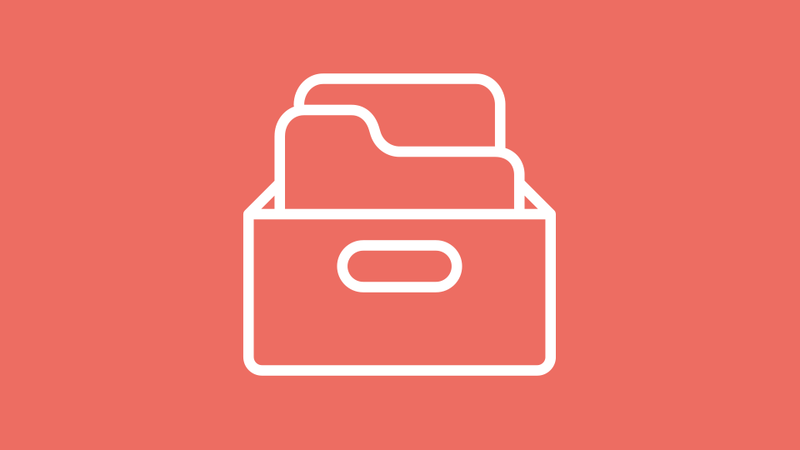 Simply put, everything available to you as a store owner can be made available to your vendors within the exported report – perfect for building a ‘pure’ and transparent marketplace business. Bloat-free, secure, and lightweight with only the required options included. 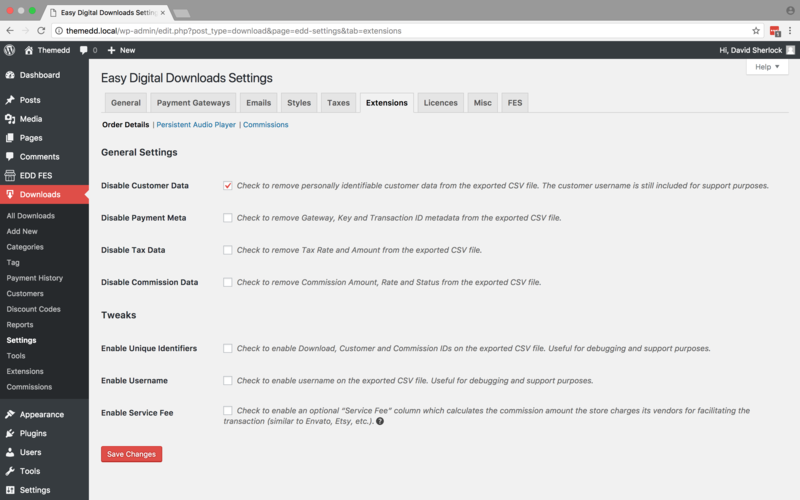 Just install, tweak some basic disclosure settings, and your vendors can start downloading order data direct from their dashboard! Since most marketplaces will be awarding vendors “commissions” on a per sale basis, the associated commission amount, rate, and status are included within the exported report, if Commissions is active. Order Details is translation-ready and contains a POT file to get you started translating the plugin into your native language. Name change from “Vendor Order Exporter” to “Order Details”.